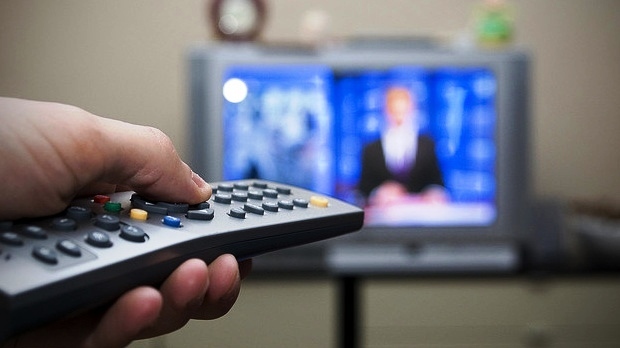 CRTC reported 66,000 Canadians have new $25 basic TV package, but the discomfort persists. Over 66,000 Canadians have signed-up for the new basic TV package of $25, according to a statement released today by the CRTC. While 66,000 is a large number seems to be subscribed by December, 11.49 million Canadian households subscribed to cable TV or satellite TV service. If all 66,000 basic package subscribers were already customers of television, this would mean 0.57 percent accepted the new offer. "This number is really not much," said the Bruce Cran Consumers' Association. Yet many complaints about $25 basic TV plans. Cran adds that, regardless of what the recording is, we can not ignore the hundreds of Canadians who contacted their union to complain about $25 basic TV plans. "What is important to us, the complaints and dissatisfaction are that we see there, and it's in the hundreds of calls," Cran said from his office in Vancouver. When the CRTC announced the next base packages last year, they are so charged as a game changer "to maximize affordability and choice for Canadian TV viewers." The Commission ordered that by March 1 service providers need to offer a $25 or less TV package known as "skinny" basic television package. They had to let the customer fill in the plan by paying the pick-and-choose the small packages of channels. Many Canadians who have been waiting to register previously reported that they now feel betrayed. Both the Consumer's Association and the CRTC have received hundreds of complaints about new offers. Cran told that when the television customers add the required extra cost and some additional channels, the cost of $25 TV package may rise. "He adds, if they meet their targets, they should pay more than they are now," he said. A new survey suggests dissatisfaction. A new poll by Angus Reid institute reflects this mood. It is suggested that most respondents, who owned the new $25 basic television package not found appealing. According to the online survey of 1513 Canadians earlier this month, said 68 percent of the new basic plans because of the additional cost of the packaging often not profitable. This includes everything added by a television box rental or expensive TV Pick and Pay channels. The study also reported that 17 percent looked to change its basic package, 66 percent said they were dissatisfied with the new option. Despite the dissatisfaction, Angus Reid said, "it seems a considerable appetite for change to be." According to the survey, half of the respondents were satisfied with their current TV plans. About the same number as I thought, the general concept of TV channels will be added with basic pick-and-pay channels is good one. Cran believes that many TV providers are unattractive to make basicTV packages because they do not want customers to lower their TV plans. He said his organization has tried to analyze consumer complaints with the CRTC, but so far not been successful. "We believe that consumers deserve better than what they get. We deserve heard our concerns and to have better treated," he said.